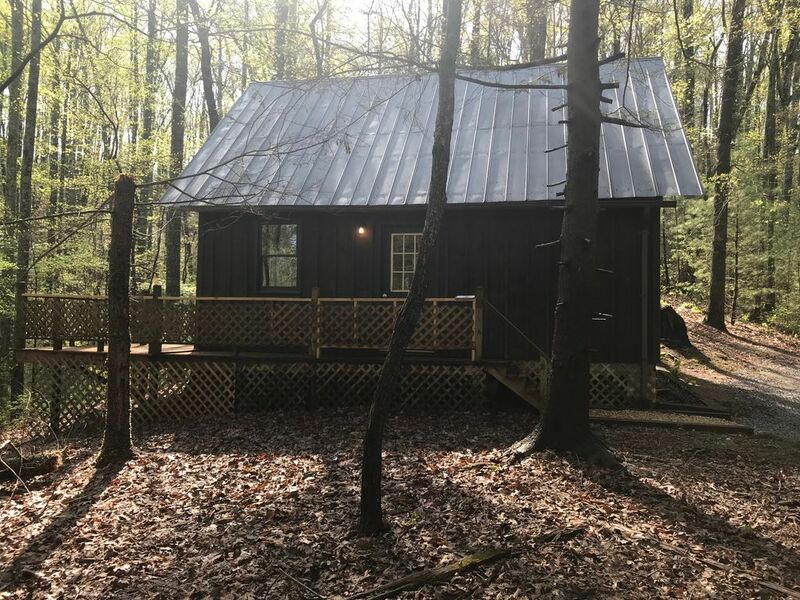 1 bedroom cabin located in the hills of Tennessee. Heat and air are propane supplied. The bathroom is a three piece with a walk in shower. The deck space surrounds two sides of the cabin and has hammock hooks. Basic kitchen supplies are provided. Linens are provided. If at all possible, we recommend a 4WD vehicle to get to the cabin location. Local hiking trails are less than twenty minutes from the cabin.